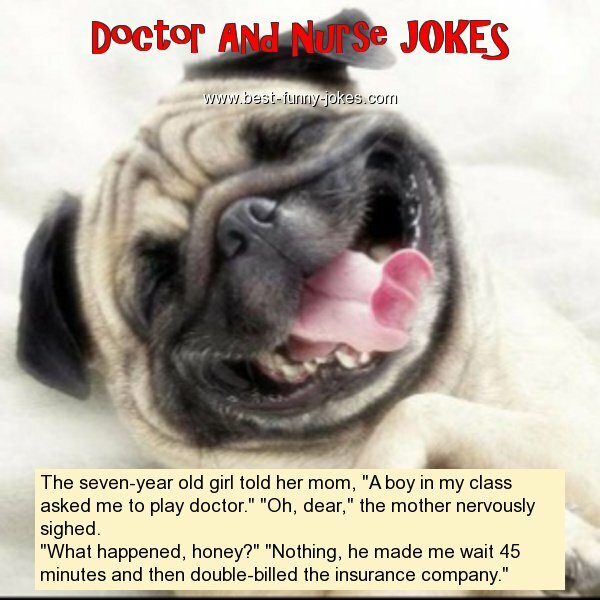 The seven-year old girl told her mom, "A boy in my class asked me to play doctor." "Oh, dear," the mother nervously sighed. "What happened, honey?" "Nothing, he made me wait 45 minutes and then double-billed the insurance company."